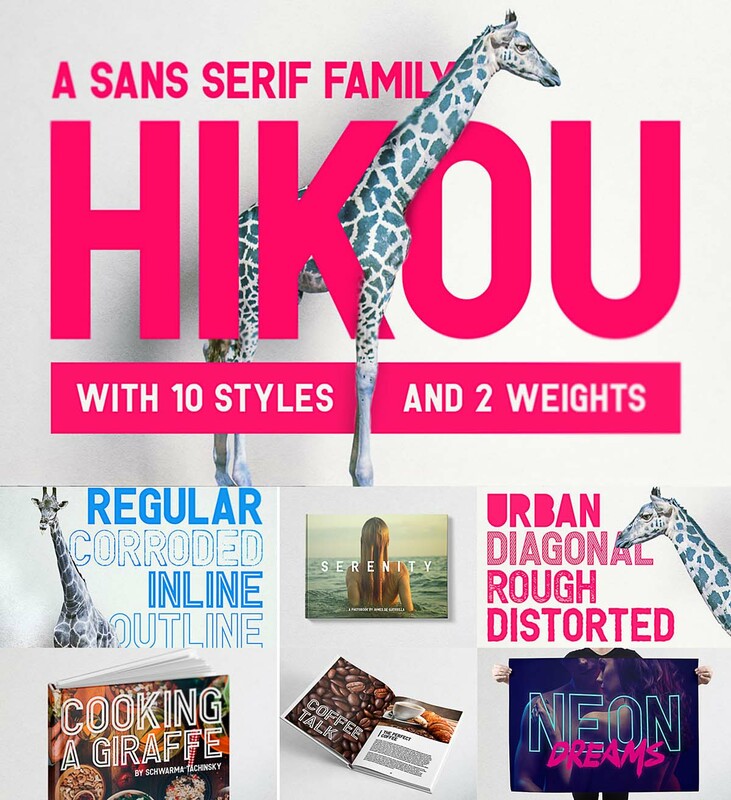 Introducing Hikou display font family that’s great for titles and logos. 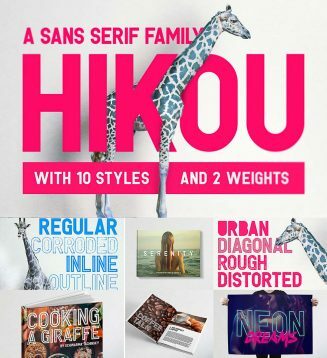 It pairs well with any other font type and works in any size. Free for download. Tags: bold, display, distressed, font family, inline, outline, rough, sans serif, thin, vintage.